Nissan showed off a couple of really great looking concepts at the Tokyo Motor Show last year in the IDx Freeflow and IDx NISMO, and we were all like yes, we would really like it if you made one of those. So then Nissan said yeah, sure, we’ll make ‘em, why not? 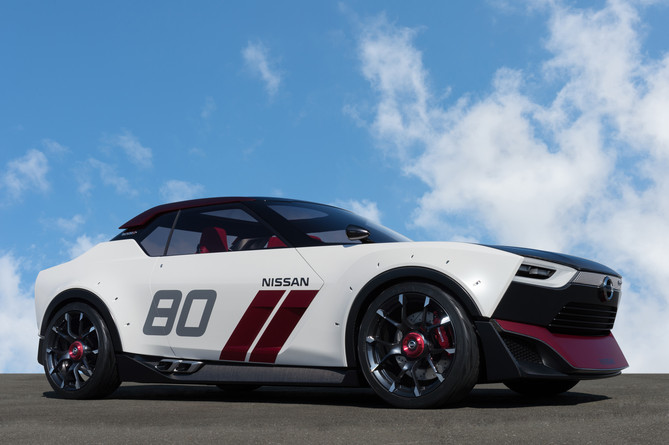 So we were understandably bummed out after hearing that, and we remained bummed until we read that Nissan design chief and senior VP Shiro Nakamura told Motor Authority that Nissan might actually make the IDx in the form on the next-generation Z car. Why? Because the 370Z’s sales have been lower than Nissan would like. Turns out that the Z has become just a bit too expensive for the target demographic, and the goal with the next-gen Z would be to make it lighter, faster, cheaper and…perhaps…more like the IDx. “How we can use that kind of approach to get the next-generation Z, that [the IDx] can be our homework,” he said. So then. The idea at play is that the next Nissan Z could be the IDx because it would be cheaper, yet Nissan stated just two months ago that we wouldn’t likely see an IDx any time soon because it was too costly to create a new platform for it.